Having read about the 24 hour supermarket machine, we just had to try it out for ourselves. The menu was easy to operate, and our purchase was delivered quickly. But I had a feeling, that the 2000 items had been selected to give a wide variety of types of item, rather than trying to offer different brands of the same item. This is obviously an attraction for those who have left something at home, a toothbrush, for example, and are happy to have any type as long as it’s available any time of the day or night. 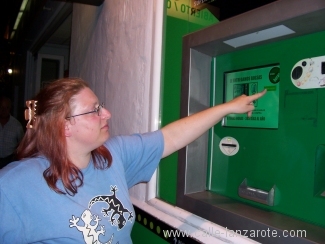 Since there is a normal type of supermarket in Puerto del Carmen next to the machine, anyone wanting something more specific may need to go there during opening hours instead. Last month Lidl finally opened in Arrecife. The German supermarket chain is opening 11 stores in the Canary Islands, and apparently there were long queues to enter the store when it opened on 11th March. Comments online have talked generally about the opening being good for tourists and locals alike, who will benefit from lower prices compared to those found in the smaller supermarkets in the resorts. Of course, those tourists who stay in self-catering apartments but do not have the use of a hire car will not be able to benefit directly, so it is vital for them that the other supermarkets do not suffer. 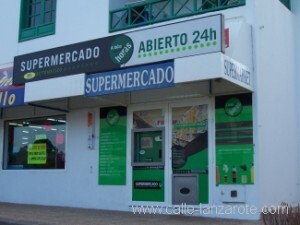 Lidl is located on the Eastern side of Arrecife in Calle Océano Atlántico. What do you think? 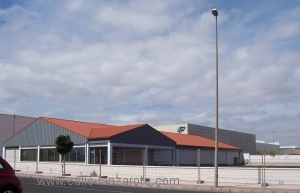 Have you been to Lidl in Arrecife yet?